that, …. well frankly, … just deserves a second viewing…. This entry was posted in General, Humour, Nelson, New Zealand, retirement and tagged aerial photography, agents, appraisal, education, Nelson, NZ, photography, recreation, retire, selling, streetview, valuation on May 9, 2013 by David Leggott. The Real Estate Institute of NZ (REINZ) just yesterday released sales statistics covering March 2013. Although the Nelson/Marlborough region saw a median of $344, 000…..
….. Nelson City itselfs medium was $350, 000. The heading probably did nothing to not attract attention from the housing bubble crowd. 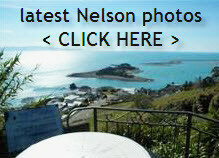 Its apparent that Nelson definitely experienced a surge in listings, and that in turn spurned an interest in visiting homes, and ultimately transacting same. Local conveyancers report this week that March was busy, and 2 mentioned it still seemed to be the same for the start of April. The above chart certainly tells the story I am alluding to, in terms of percentage changes from prior. The situation with Coromandel is a one off and does not reflect any trends I believe. This was reflected in… local property asking prices. …..it would seem if the above chart is taken into consideration that we on the shores of Tasman Bay are stepping up to the plate too. ….the coming interest rate increases will be shared equally amongst all Kiwis. As I’ve harped on before, and recent nights even the 7pm Current Affairs programs have too, regurgitating the proverbial “housing boom” or “housing price bubble” rhetoric, there is only one thing that is creating all this….SUPPLY & DEMAND. Although on that DEMAND point there is a couple of contributing factors that we have here in NZ, specifically in Auckland, specifics about the ability to actual purchase a local property, that aren’t seen in tons of other countries, including OECD members. One point is overseas buyers pushing up Auckland prices, as mentioned just this week in BNZ Economist Tony Alexanders weekly commentary. “I wanted to pass back some anecdotal evidence of Chinese buying of residential property in Auckland. Yesterday I called in to view an auction in Milford (next suburb up from Takapuna – in case you don’t know the area). The location has good school zoning but is quite cold in winter. It would be similar to less attractive parts of Karori in Wellington. 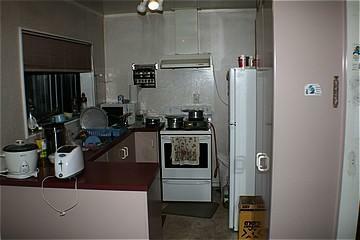 The property was a 40+ year old bungalow which the current owners had owned for the last 19 years and were downsizing. It badly needed modernising and re-decorating. It has a QV of NZD620k and we thought it would sell for around $780k max. Interesting indeed if this is happening in Auckland. Each month we ask over 10,000 licensed real estate agents their views on whether things are increasing or decreasing with regard to such things as numbers through Open Homes, requests for appraisals, presence of investors and first home buyers, plus factors motivating buyers and vendors. The survey started in April 2011. Although increases are still occurring, areas like Auckland, Hamilton and Christchurch are starting to see the rate of growth slow recently. It is too early to tell however, whether this is going to be a more widespread slowing of values. And that was the month that was, March 2013. 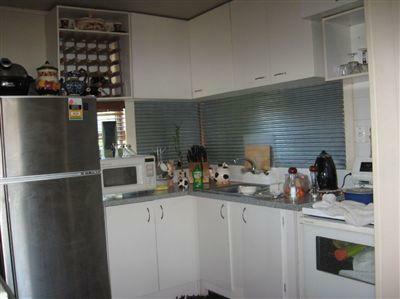 This entry was posted in Buyers, General, Nelson, New Zealand, Sellers, Stats / Sales Data, The Market and tagged agents, Buyers, buying, market, Nelson, NZ, stats on April 12, 2013 by David Leggott. quite obvious really isn’t, and no its got nothing to do with the age of the kitchen or appliances. Don’t forget the point of photographs for a property listing on the internet is not just to depict what is there, BUT more importantly to showcase the property / get a buyer excited about it /convince a browser/buyer to make the effort to either phone or visit said property. Looking at the photos above what would be your first thoughts? This entry was posted in New Zealand, photography, Refs Choice and tagged agents, buying, marketing, photography on January 28, 2013 by David Leggott. The stats come from Statistics NZ, but thanks to the NZ Property Investors Mag I don’t have to go there and compile them tonight. Like usual though….if you wanna know more, or more importantly, want to know how to interept these stats in the context of our Dec 2012 Nelson real estate market.. …you know who to call. 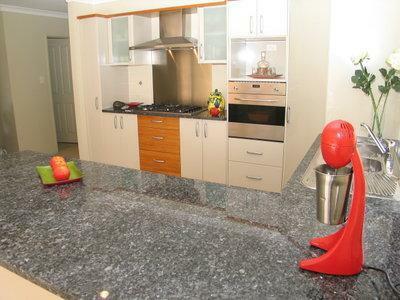 This entry was posted in Buyers, General, Nelson, New Zealand, Sellers, Stats / Sales Data, The Market and tagged agents, appraisal, Buyers, buying, coastline, education, mapping, market, marketing, Nelson, NZ, Sellers, selling, Stoke, valuation on December 4, 2012 by David Leggott. Can Social Media sell Real Estate? 1] one of Sydneys leading agencies, McGrath, embraced social media further with the launch of their agents corporate Facebook page. 2] a much talked about case highlighted in an article by News reporter Victoria Craw, entitled “How to sell your home on social media” provoked plenty of comments …..of a Sydneysider taking to social media to sell their property. How much social media did these Sydneysiders use, you ask…. There is also a Facebook Fan Page, Pinterest page featuring numerous boards of photos, Google + and a Twitter account where they can share some of the real time happenings at and around the apartment and tweet out their Instagram photos …. Other marketing methods currently gaining traction with Real Estate Agents, are both online video (BTW recent 2012 Conference in USA has said the magic number, when it comes to video communications, is 1min 30secs) and audio marketing, as mentioned by Greg Vincent, Australias online guy for Real Estate Professionals, where he recently posted an article here on this same subject. While admitting “I’m not very good on Twitter”, host of Selling Houses Australia & real estate consumer champion, Andrew Winter also tells his readers hes not fully sold on social media yet. As an agent, asking sellers to promote their home on video could work in some cases, but what worries me is if it is expected by everyone. A good local agent will know the real selling features better than the average seller. On the other hand, when people are looking at new homes, they are usually looking for a sense of the lifestyle the home will offer. Perhaps hearing first-hand will help them understand if there is a lifestyle match. His comment regarding “first hand” is the clue here. But hes not the only one whose not getting too excited. As far as point No. 1 goes I feel social media is making inroads here, especially with a younger audience (read non- baby boomers) whose use of technology is just second nature. If members of this group want to find out about homes for sale, they know exactly where to go and how to do it…… many of these under 30’s don’t like being told how either …. witness the thousands of real estate twitter accounts with less than 10 posts, all about new listings for sale, and pretty much to a tee – now dormant. This leads me onto point no. 2. Point no. 2 is all about creditability, reputation and integrity, and anything which aids the home seller, and the buyer too, should surely be welcomed with open arms. Some may not know that Facebook picked NZ to “test” its infamous “pay to upsize your post” campaign. Likewise, currently another 600lb Gorilla is trialling here a “very relevant to this topic” new addition to their program, but why NZ I hear you ask? ...its all about this new ENDORSE button....could be coming soon to you too...? “New Zealand is one of the most connected communities in the world. Given the highly social and viral nature of this product, it made a lot of sense to test it in this market. If this model provides positive results, we may consider this approach for other products. The below screen shot shows an addition to your usual blue Linked-In screen, a box with skills / expertise and just below that the all important ENDORSE button. The system is interesting because it throws up quite random requests seeking endorsement, like for example…..does my Product Manager friend know about Public Speaking, or does a Real Estate colleague know about HTML, or a fellow Rental Property Associate, do they know about Home Staging, so it really does get you thinking, especially about work attributes of colleagues from many years back. Any chance to add more “verifiable” information amongst the business people on Linked-In is a good thing. Somehow I thing this one has legs….seems this is a bit more “hold accountable” that the “likes” of other programs, and perfect for the more typically professional oriented Linked-In community. After you've clicked ENDORSE...then what happens...? This weekend I’ve been endorsing a few current and past work colleagues, so will be interesting to see what their feedback is come Monday. So to answer my original question, the jury is still out, but it won’t be long before more real life examples like this one, one which according to Australia’s REIV (Real Estate Institute Victoria) was a possible Australian first …… will start appearing, that’s for sure! And when its “done right”….in everyones favourite term “hyper-local” way…. To end this post, in a related social media way, but a bit “Jamie Oliver / Hugh Fearnley-Whittingstall like”……. check out this great article (with analytics included), documenting the very real benefits of a “real life” short-term (48hrs the writer states) social media campaign conducted. Oh ….and it involves beer. Strategy wise, its a beautiful village style example of when social media is done right, resulting in the product that you’ve allocated for the festival, running out on the first night! Be surprised if even SEO’ers don’t pick up something from it. Lastly, can social media go even where humans haven’t yet….well could this sign be a pointer? This entry was posted in Buyers, General, Nelson, Sellers, Technology, Uncategorized and tagged agents, Buyers, buying, market, marketing, NZ, Sellers, selling, Technology on August 26, 2012 by David Leggott.